The MWRD pilot stormwater management project was awarded the Innovation Project of the Year by the Illinois Association for Floodplain and Stormwater Management (IAFSM) 2017. 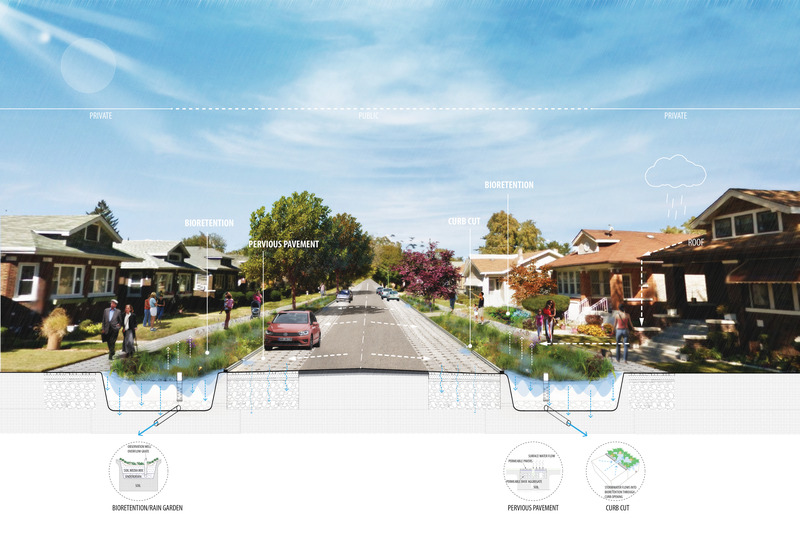 The team was led by Geosyntec Consultants, who modeled a 17 square-mile area in the Calumet Region in order to evaluate the impact of green infrastructure (GI) techniques. TGDA produced the graphical exhibits used to support the findings of the modelling effort and to communicate the benefits of green infrastructure. We are excited to be at the forefront of understanding these strategies and opportunities to utilize the skills required to implement them in the future.